Cals Refineries Ltd (BSE: 526652) has recently filed its quarterly disclosures at BSE, according to a regulation that companies exempted from filing quarterly financial results have to follow. The current disclosures are regarding the developments in the April-May-June 2011 quarter. This time around, investors in this scrip had some surprises to encounter. 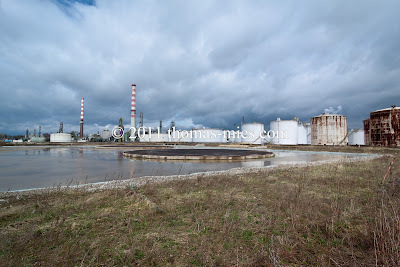 The main shock was regarding Cals Refineries' disclosure regarding the status of the deal they had made to purchase Bayernoil's Ingolstadt refinery through Lohrmann International. Cals has now disclosed about a re-negotiation of the original 2008 deal, a new agreement with Lohrmann, the cancellation of even this new agreement, and the company's continued efforts to get alternate payment options so as to not lose the Bayernoil equipments. But it is not clear whether all of these four actions happened during this quarter itself. It should be recalled that it was on May 20th - that is, in this disclosed quarter itself - that Delhi High Court had disposed off Cals Refineries' petition against Lohrmann and vacated the stay restraining Lohrmann from selling the refinery to a third party, citing that "the disputes between the parties have been resolved". But neither Cals nor Lohrmann has divulged till now, what were the terms of that out-of-the-court settlement. The current disclosures, however, partly reveal what were the settlement terms. In a nutshell, the terms might be something like these, according to StockExplain's analyst team: The re-negotiated agreement stands cancelled and Lohrmann is legally enabled to look for an alternate buyer. But Cals won't give up the claim on Bayernoil, Ingolstadt, provided that they can raise the remaining payments due to Lohrmann before another buyer is identified. In case that too fails, it is likely that Lohrmann will compensate Cals. It should be recalled that Cals had utilized the bulk of the Rs. 788 crore raised through its first GDR towards advance payments for two refineries. The crux of the matter is whether all the four disclosed developments regarding Lohrmann happened in this quarter itself. It is highly unlikely as the settlement happened around May 20th, and there was only five weeks left for the quarter to expire, which comes across as an unreasonably short period to raise the hundreds of crores in due to Lohrmann. In other words, the re-negotiation and the new agreement happened much before this quarter, and as part of the out-of-the-court settlement, the new agreement was cancelled. But in any case, the settlement terms appear to be of negative implication for Cals Refineries, than for Lohrmann. The court proceedings also reveal such an outcome. Though Cals had initial success against Lohrmann in court - the interim order in Cals' favour was even ex-parte - and this stay restraining Lohrmann also held good for nearly seven months, Cals couldn't fight effectively towards the conclusion of the case, which is evident from Cals being unable to file an effective reply to Lohrmann's IA to get the order vacated, despite three time extensions granted by the court. This might have given Lohrmann an upper hand in the arbitrations that led to the settlement. Lohrmann it seems was under pressure from multiple fronts to get the order vacated and thus be legally enabled to look for an alternate buyer. 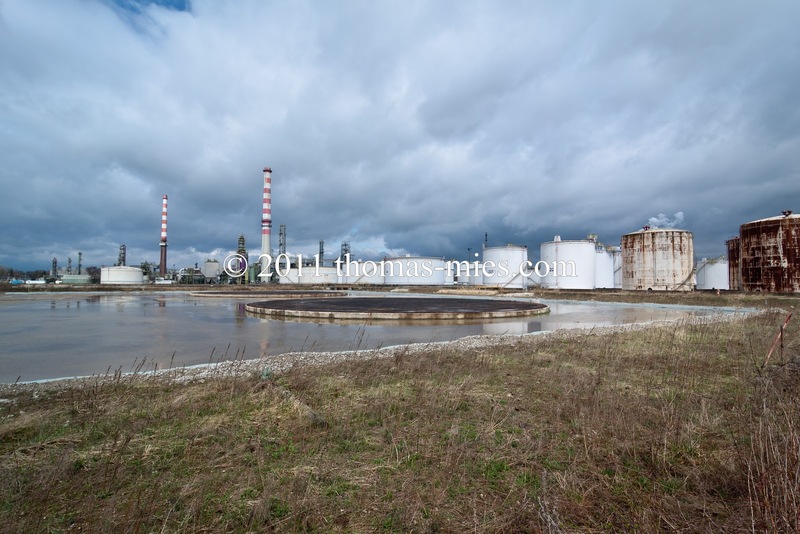 Bayernoil and the city administration of Ingolstadt have grand plans for the redevelopment of the remaining areas of the refinery site, and for that the refinery should be fully dismantled. Proving this argument, and as StockExplain reported earlier, the dismantling of the remaining two-thirds of the refinery has started recently. Lohrmann was also probably under another kind of pressure from Bayernoil. During this quarter, on May 5th to be precise, Bayernoil had an indirect ownership change. It was in Ruhr Oel GmbH, which holds a 25% stake in Bayernoil, that this change occured. Russia's Rosneft completed the acquisition of 50% of Ruhr Oel from Venezuela's PDVSA in early May 2011. It is likely that the new deal or new owners put some kind of pressure or accountability on Bayernoil to act on their long-pending deal to sell their Ingolstadt refinery, which is roughly one-third of their assets. Interestingly, Ruhr Oel's other 50% stake remains with the petroleum giant BP, with whom Cals had signed an intake-offtake agreeement for crude and petroleum products, way back in 2008. BP also holds a direct 10% stake in Bayernoil through BP Europe. However, perhaps unfortunately for Cals, the international petroleum major has an even-stronger, multi-billion dollar worth relationship with India's Reliance Industries. Another interesting connection worth mentioning is Eni Germany's 20% stake in Bayernoil. It should be recalled that Cals has entrusted the work of preparing a detailed feasibility report of the project to Saipem, which is 43% owned by Eni. Cals Refineries' quarterly disclosures are also surprising due to some serious ommissions. On the same day that Delhi High Court disposed off the court case between Cals and Lohrmann, that is, on May 20th, Cals had got a big boost when India's Foreign Investment Promotion Board (FIPB) had reccomended Cals' Rs. 1425 crore FDI proposal for the consideration of the Cabinet Committee for Economic Affairs (CCEA). There is no mention of this positive development in the quarterly disclosure, even though the FIPB result was published on June 6th, well inside this disclosed quarter. It is nearly three months now since the FIPB reccomendation, but so far no results concerning Cals has come from CCEA meets since then. CCEA usually meets on every thursday if a sufficient number of members are present. However, speaking to StockExplain, Cals management appeared confident of CCEA approval soon. It remains to be seen whether today's CCEA meet will consider issues like Cals' FDI, while the Cabinet is bogged down by fighting the issue raised by Anna Hazare's fast against corruption. Another missing point from this quarter's disclosure is that there is no mention of the agreement signed with Kuwait's Kharafi Group for an equity investment of $150 million. That is probably because nothing much has happened on that front during this quarter, but sources close to Cals has hinted to StockExplain that Cals will need to re-validate the deal with Kharafi after the project cost is freezed, which is expected by this month end. The different facets of the project continuing to be such, Cals Refineries seem to be doing a difficult balancing act as of now. Cals needs to fix all the four wobbling legs of the table, but the confusion seems to be regarding which one to fix first. For a while it seemed like Bayernoil would be fixed first, but as of now, the writing on the wall is clear. The CCEA approval and the equity expansion through the Hardt refineries deal have to happen first for other legs like Bayernoil, Kharafi, FC etc to be fixed. The quarterly disclosures reveal the formidable challenges facing this ambitious project. The positive developments mentioned in this quarter's disclosure include a Rs. 12 crore equity investment by Hardt Group, a smaller equity infusion by a promoter group company, application before the Environment Ministry for upward revision of approved capacity from 5 MMTPA to 10 MMTPA, and applications before West Bengal Government for extension of deadlines for payment of the land lease and the availability of fiscal incentives. Meanwhile, the share price continued its free-fall to original levels, after the dizzying doubling in value on account of the FIPB reccomendation. It remains to be seen whether the scrip would be relegated back to the trade-to-trade or 'T' Group due to the continuous lower circuits. Due to the extremely low price of the share, a mere Rs. 50 lakh worth of sells is enough to impose an LC in this counter, as it happened today. The CCEA approval, Hardt FDI, and subsequent cash infusions by Kharafi or other similar investors would decide whether Cals will get to keep the crucial Bayernoil equipment. On the other hand, selling Bayernoil to another buyer is also no easy task for Lohrmann. For example, in May 2009, Lohrmann had 8 used refineries put up for sale. After more than two years, in August 2011, 7 out of that 8 refineries remain unsold, while another 5 used refineries have also been put up for sale by Lohrmann. The Cals deal was the first full-refinery deal for this German firm. It seems that it would be wiser for all parties concerned to complete the deal using equity instruments like how Hardt is planning to supply the Cenco & Atas refineries to Cals. I hope on 25th Aug 2011, we should hear good news of CCEA Approval..